The Presidential Sports Awards Ceremony has been organized for the first time at BMICH on May 13 on the directive of President Maithripala Sirisena and under the guidance of Sports Minister Dayasiri Jayasekara. At this ceremony, life time awards will be presented by the President to Sri Lankans who have made the most substantive contributions or achieved success in Sri Lankan sports for the year. The awards are categorized as follows Kreedabhimani, Kreeda Deshoththara, Kreeda Keerthi, Kreeda Lanka Pradeepa, Kreeda Bhushana, Kreeda Rathna and Kreeda Prabha. 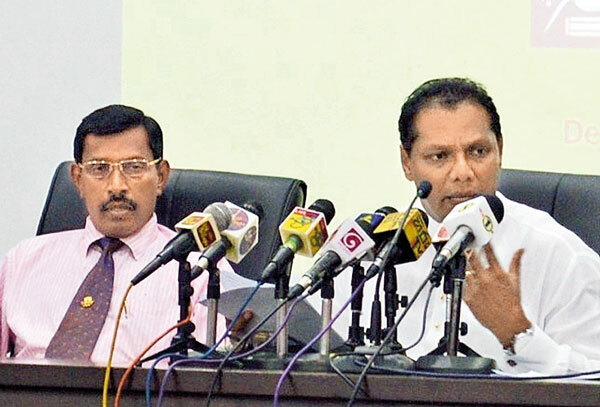 Sports Minister Dayasiri Jayasekera said at the press briefing that the aim of the awards ceremony is to give honours to the sportsmen and women who have made sacrifices to bring honour to their country in sports. The Minister thanked the chairman of the Presidential Awards Committee Saman Amarasinghe who had given yeoman service to make the awards ceremony a reality. The Sports Ministry said he hopes to make it an annual event on the second week of May. The main event at this ceremony is presentation of scholarships to the present sportsmen and women and a retirement allowance for former sportspersons. members of national teams as recipients and a 'Kreeda Sevena' Pension Scheme for 10 recipients (over 55 years of age) will be given parallel to the main awards ceremony. of the year (one from each sport). People's popular awards (Most popular sportsman/sportswoman and most popular sportsman/sportswoman with disability) will also be presented at the ceremony. The Presidential Colours for Sports Personalities will be selected by selection committees of National Sports Associations and picked by a Panel of Judges. The Presidential Award for specialized sports fields will be for the most outstanding sports administrator of the year, the most outstanding sports science academic of the year, the most outstanding sports physician of the year, the most outstanding leisure sports provider of the year, the most outstanding referee/umpire/judge/technical officer of the year, the most outstanding coach of the year, the most outstanding trainer of the year, the most outstanding sports promoters of the year, the most outstanding sports publication of the year, the most outstanding sports electronic production of the year, the most outstanding national newspaper sports page of the year, the most outstanding TV sports programme of the year, the most outstanding radio sports programme of the year, the most outstanding sports journalist of the year, the most outstanding sports photographer of the year and Grading of the National Sports Associations based on creativity, leadership, accreditation, dedication and professionalism.